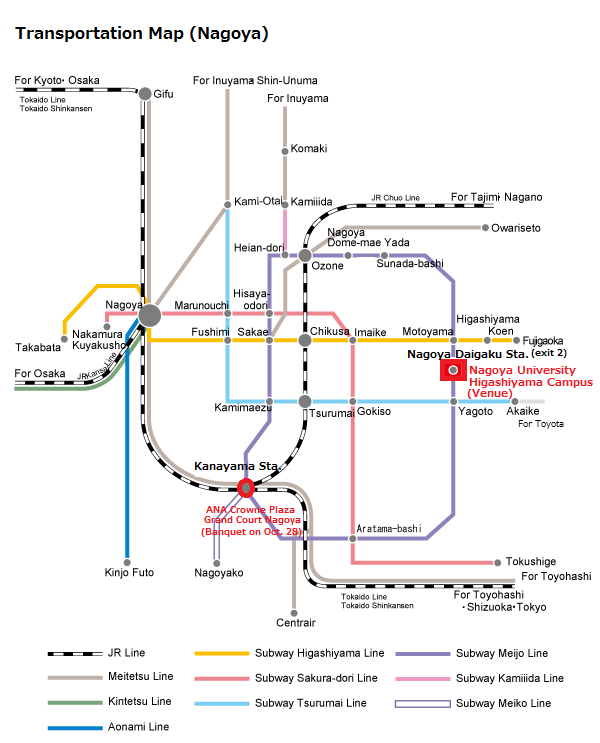 From Nagoya Station: Take the Subway Higashiyama Line to Motoyama Sta., then transfer to Meijo Line to Nagoya Daigaku Sta. 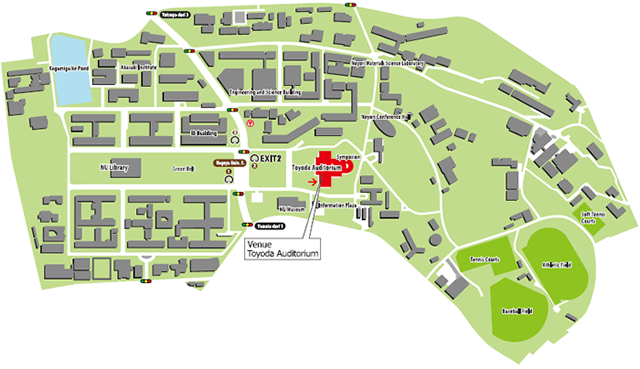 Toyoda auditorium is just off the subway exit. From Centrair (Central Japan International Airport): Take the Meitetsu Line to Kanayama Sta., then transfer to the Subway Meijyo Line to Nagoya Daigaku Sta.